Webcast Replay: What's The Tone From The Very Top? After each new corporate scandal, one of the first and most important questions people ask is: Where was the board of directors? 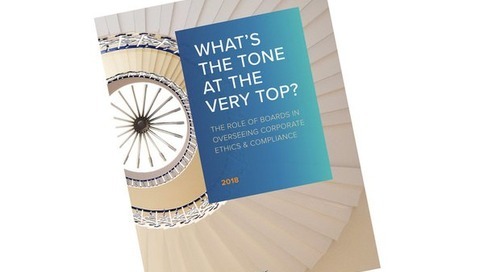 Boards are expected to oversee company ethics and compliance – and they are required to do so in the US by the Federal Sentencing Guidelines and legal precedent like In Re Caremark – but we actually know very little about the real dynamics. 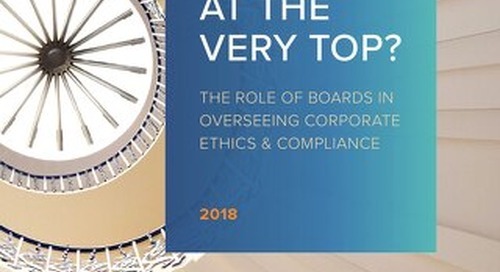 LRN's webcast, What’s the Tone from the Very Top: The Role of Boards in Overseeing Ethics and Compliance -- provides deep insight on this important question. And our special guests from the board and leadership practices of Russell Reynolds Associates will give us additional insight into what companies are looking for as they search for new directors. Do boards really understand E&C programs? 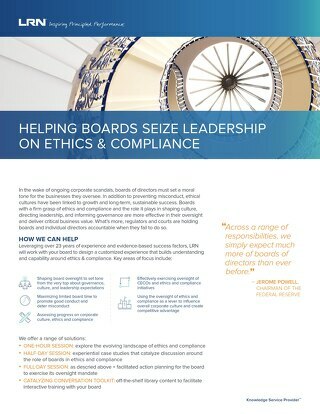 Do boards have a game plan or strategy for E&C oversight? 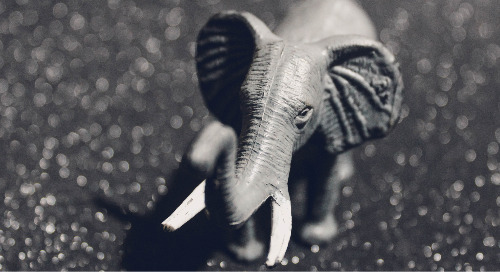 Do boards focus on underlying causes of misconduct? boards’ failures to adequately oversee E&C? 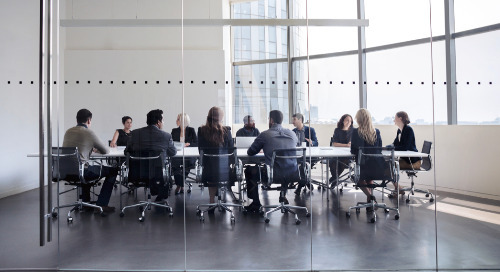 What can CECOs do to increase their influence with boards? 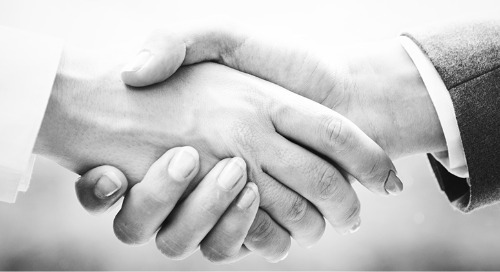 Are companies looking for board members with E&C expertise and depth? How can CECOs position themselves for board service? 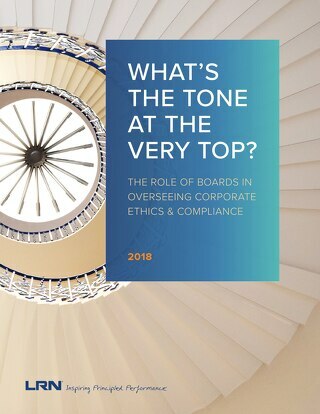 Click here to view our research report on our findings of the role of boards in overseeing ethics and compliance. 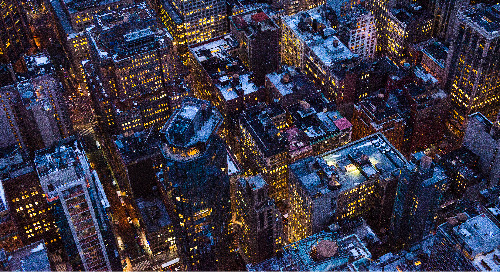 Get the insights from our latest report, where we conducted in-depth, off-the-record interviews with 26 Chief Ethics and Compliance Officers (CECO) of major companies.